Merry Christmas, everyone!! 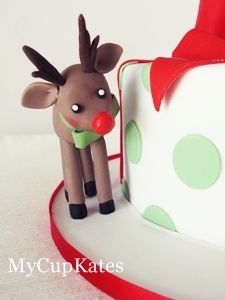 This is my last cake this year. 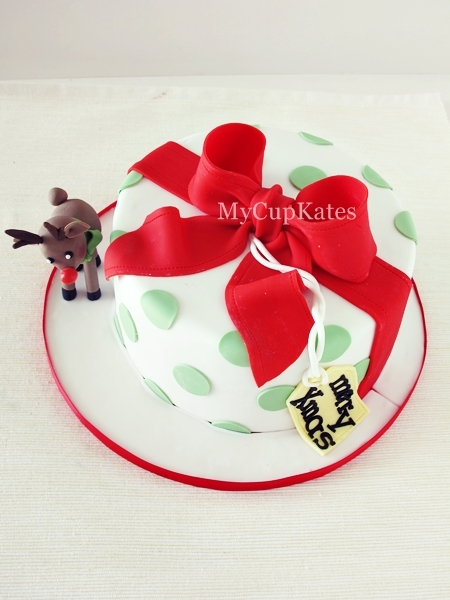 My lovely friend asked me to make this cake for the Christmas lunch. I hope she has so much fun and enjoys lots of food & the cake as well. 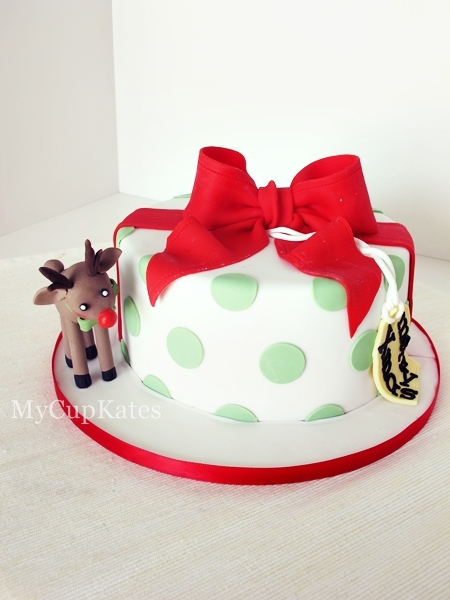 I tried to make the design simple..
Light green dots and a red ribbon..with a lovely reindeer figurine. I had so much fun making it. 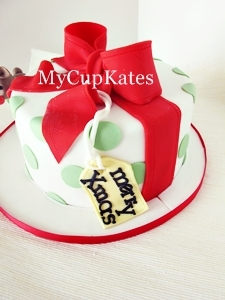 Thank you so much for loving my blog, MyCupKates this year. I truly appreciate every visit you've made. Merry Christmas & Happy New Year..